(transitive) When you regard someone or something in a certain way, either correctly or mistakenly. Don’t take silence for anger. My mother looks young; people often take her for my sister. Sorry, I took you for someone else. 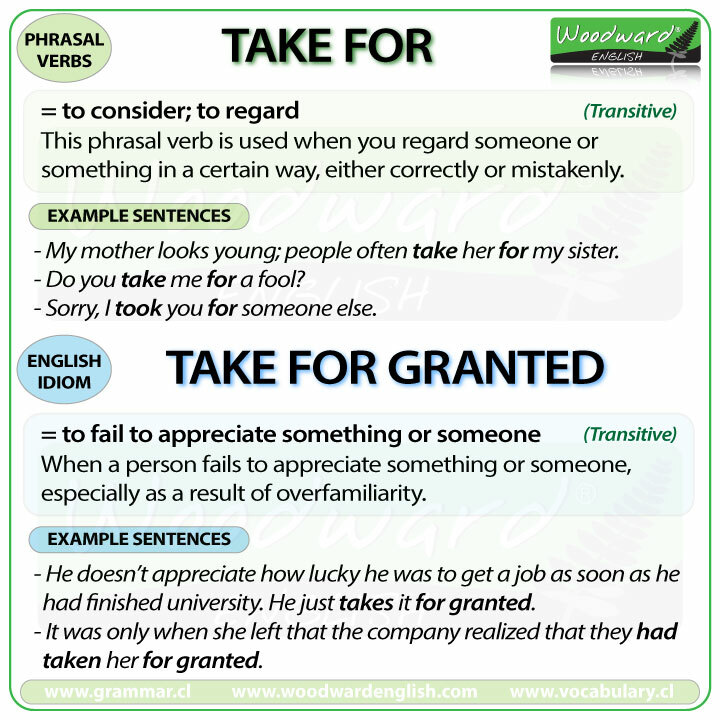 (transitive) To take for granted means to give little attention to or to underestimate the value of something or someone. The person fails to appreciate something/someone, especially as a result of overfamiliarity. He doesn’t appreciate how lucky he is to have his job. He just takes it for granted. It was only when she left that he realized that he had taken her for granted.